My wife and I had the opportunity to see the first showing at the Aperture Cinema in downtown Winston-Salem Friday night. We managed to find good seating towards the middle of Studio 2, and although the space was fairly cramped and the screen a bit higher than it needs to be, we were able to physically “hold up” for the 94 minute running time. 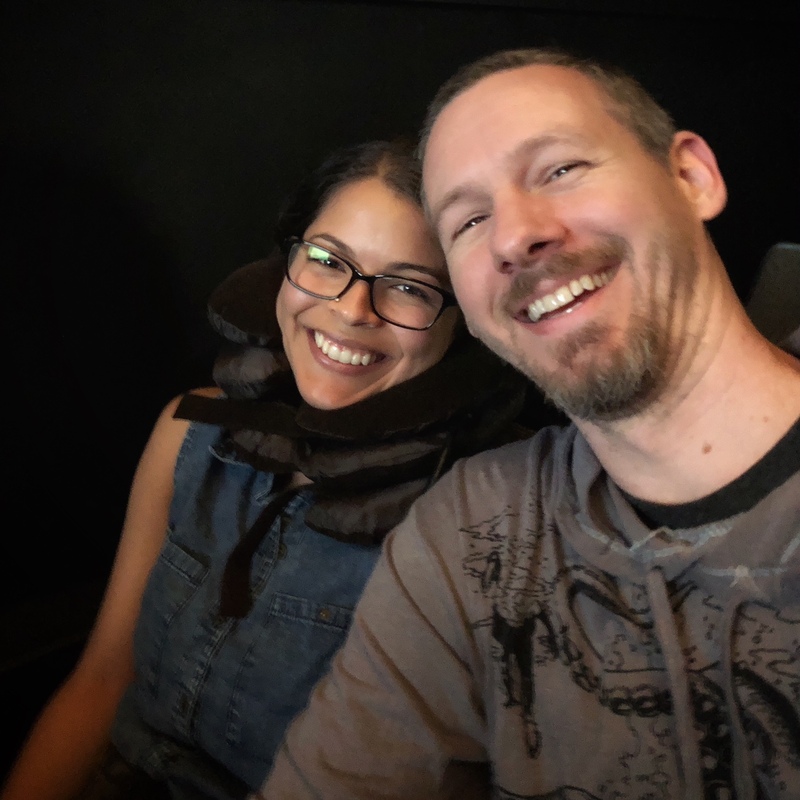 My wife Jennifer was adequately prepared to brave the movie with her new neck stabilizer. It was hard for me to rate this one. If anyone was to rate the documentary based on who the man was, and how important he was, it would obviously be a 10! It currently has a 99% score on Rotten Tomatoes with only one critic holding out with a negative review. Did this one critic want to merely stand out from the crowd or does he have some legitimate points? My take on this documentary is as such – It was an extremely moving film about the Fred Rogers, his television show and the impact that it had on society. It was also a refreshing film that reinforces all the positivity, love and kindness that seems so rare in our nation currently. 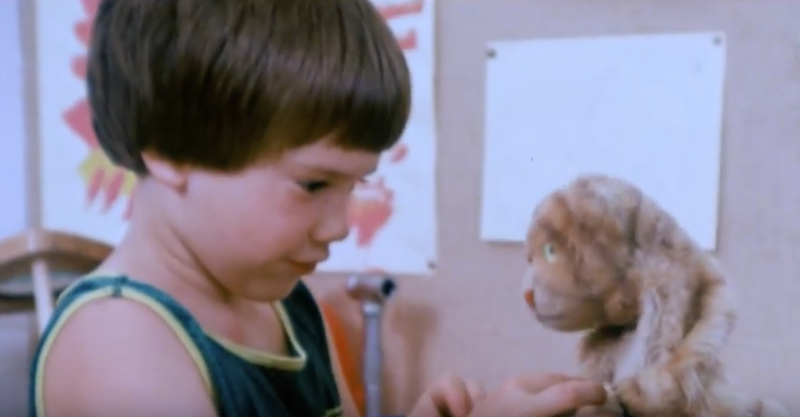 There was a lot that you learned about Mr. Rogers, from his distaste for programs that encouraged violence and consumerism, to the insecurities that he had later in his career. The viewer was reminded just how amazing he was with children, how honest and sincere he was and how gently and simply he’d lead you along the path of understanding – whether the topic was divorce or even the tragic events of September 11th. 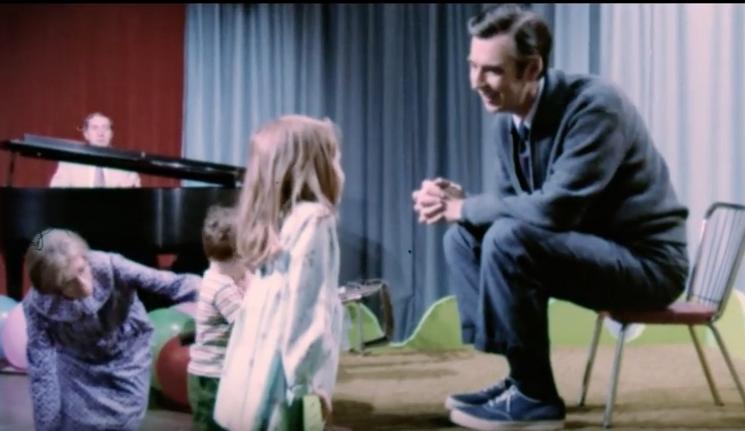 After watching this great film, and you realize that the world will not likely see another quite like him… it leaves you wondering what Fred Rogers would think about the state of the world today – even though they try to tackle that tough question in the film. Won’t You Be My Neighbor gets an 8-out-of-10 bear claws for a couple of reasons. First, is the documentary crafted in the best possible way with respect to the subject? My answer – Somewhat. Director Morgan Neville does a good job at weaving the various clips, behind-the-scenes and interviews from the early days of the show to today, but it felt that once we were getting to a deeper understanding Mr. Rogers, the direction moved elsewhere. And while the documentary styling was soft and simple – just as Mr. Rogers would have like it, it would also have been interesting to have known more about where and how Fred Rogers grew up, who his influences were and (even) how he handled the diagnosis of cancer that took his life at the age of 73. There is still a lot that Joanne Rogers (his widow) knows, that fans of his would love to know – and as much as we loved the show, we all loved and would have loved to know the man even deeper. In all of my reviews I try to give my readers my honest thoughts and certainly why I rate the movie the way I do – not just a quick thumbs-up or thumbs-down and certainly not a lengthy description of the plot. That is far too dull and something you can easily pick up by watching the trailer. However, I do hope you are enjoying my reviews, and they are inspiring you to check out a film or even re-watch one! 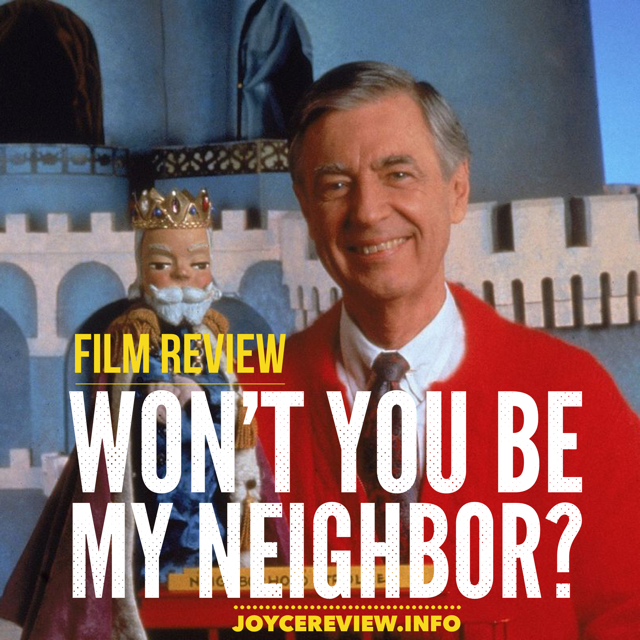 Won’t You Be My Neighbor is a wonderful film that should be interested for all… but please give me your personal thoughts when you get a chance. I’d love to hear them!